Now, on a serious side, does this hat make my head look fat? Maybe this one will thin things down, a little. 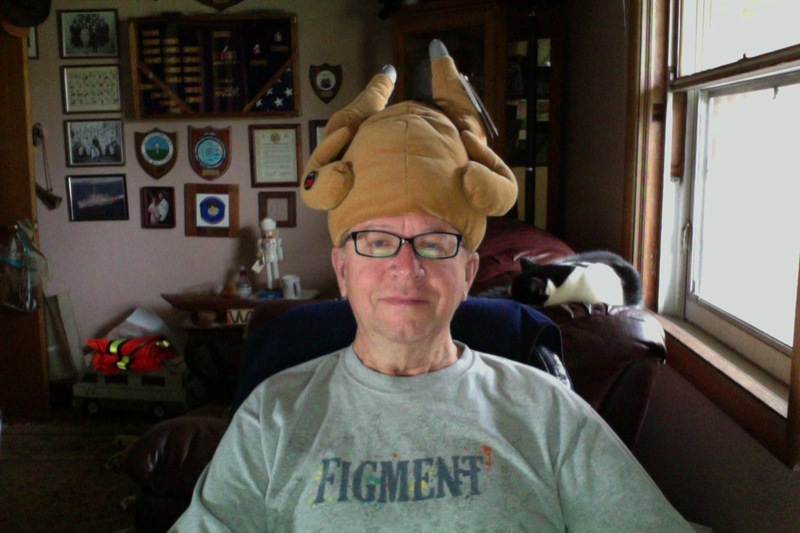 Whatever … I hope everyone has a joyous Thanksgiving and, if you are travelling, be safe. 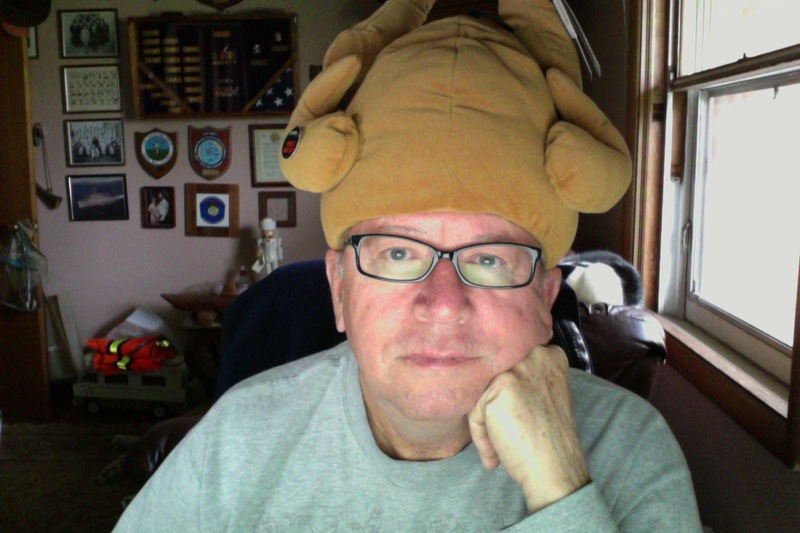 Wishing you both a Happy Thanksgiving..Tom came home yesterday so Im his new nursey…Now to answer your ? on the hat…….well…….no comment…..but the cat sure looks comfortable in the background basking in the sunshine. That is a cat isnt it?? Thanks, Linda … glad to hear Tom is home. Hope he’s being good for you. I’m sure he knows exactly how to be a good patient. But, I bet he’s stubborn, too. Want’s to work his way out of this and I have no doubt he will. Yes, that’s the porch cat, Breezie, behind me. She spend half her time sleeping, and the other half hunting birds. She’s really good at both. Not only do I love the hat, but I really, really like the shirt….